Trainer applications for the Retired Racehorse Project’s 2018 $100,000 Thoroughbred Makeover are now open and will be accepted through Jan. 15, 2018. Approvals will be announced Feb. 1, 2018. 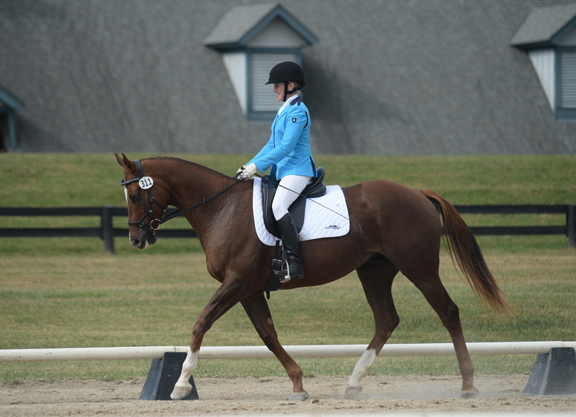 The Thoroughbred Makeover is a competition in 10 different disciplines among recently retired Thoroughbred racehorses with less than 10 months of retraining. The event will be held at the Kentucky Horse Park Oct. 4-7, 2018. “This is an exciting time of year for RRP,” said Steuart Pittman, the founder of the organization. “We compile the input from competitors, judges, and spectators, and we roll out changes in format that make the event better for the horses and better for the trainers. Then we open the flood gates to hundreds of applications from inspired trainers all across the United States and Canada. Knowing that so many juniors, amateurs, and professionals are out there buying Thoroughbreds and beginning their new careers is thrilling for all of us.” For the application or more information, visit retiredracehorseproject.org.